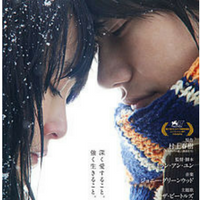 A film adaption of Haruki Murakami‘s international best-selling novel of the same title. A sensitive portrayal of the inner anguish of a young man who is torn between two completely different women. This beautifully crafted romantic drama is directed and scripted by Tran Anh Hung. Watanabe is a college student haunted by his best friend’s suicide. One day, by chance, he runs into Naoko, his best friend’s former girlfriend. Their relationship grows more intense but Naoko becomes psychologically unbalanced and is hospitalized. While Watanabe worries about Naoko, he also meets Midori at university and starts to feel an attraction to her. The film, set in the tumultuous 1960’s, has sweeping beautiful cinematography and close-ups you can almost feel their eyelashes.